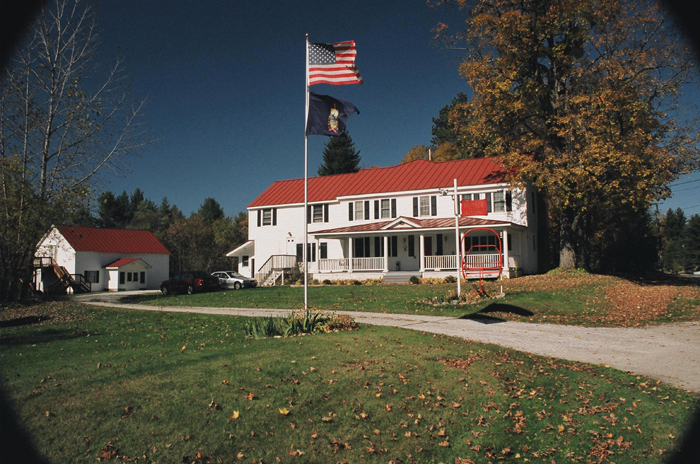 Our lodge is a stunning 1844 farmhouse in Chittenden Vermont just outside of Rutland and 20 minutes from the Killington/Pico Ski Mountains. The main house sleeps 50 in 11 bedrooms plus a third floor dorm. The house has five bathrooms, a rustic living room with stone fireplace, dining room with multiple tables, a boot room with shelves to dry 50 pair of ski boots, a large country porch for 3 season use, and a kitchen with a commercial refrigerator, a large stove, and room for multiple cooks. Our kitchen was updated by members in the summer of 2009. The basement has a ski tuning bench. Outside behind the house is our best kept secret. Our old barn has been converted to a recreation area with features including a loft with a TV lounge, a pool table and other games, a bar, a high definition projection TV offering wall size movies and sports, large dance floor, and an outside deck. 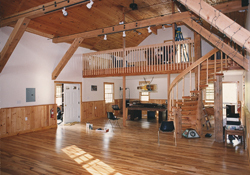 The main lodge and barn offer wireless internet access. We are very proud of our lodge and members have contributed for 46 years to make the improvements that are in place today. An elected committee of ten members governs the lodge.